WHY YOU NEED A DRAINER IN THE CENTRAL COAST? Your home or office’s drainage system is of no small concern in your everyday life. Having a clean, well-maintained, and streamlined drainage system ensures proper sanitation and health practices in the area. It also safeguards the comfort and convenience of everyone who uses fixtures connected to the drainage system, such as the toilets and faucets. 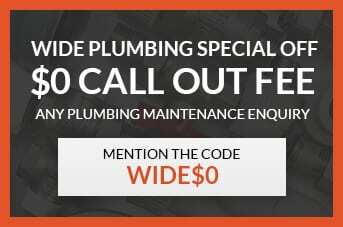 If you’re located in the Central Coast and you’d like to contract a licensed plumber specializing in drainage, get in touch with us at Wide Plumbing Services. We’ll run you through the safest, most organized, and most cost-efficient drainage solutions, and we’ll book you a pro to take care of the drainage system. Call us at 0419 012 750 or send us an email at centralwideservices@gmail.com for any inquiries on drainage plumbing, and to get a free project estimate. Drainage work covers a number of processes, from constructing the drainage system to maintaining it, repairing it, disconnecting or reconnecting pipes, flushing out drains, and surveying the connected wastewater management systems. With that in mind, you will need to speak with your contractor about the range of drainage work to be done, and how much time will be allotted to finish the work. Wide Plumbing Services has a seasoned team of local plumbers ready to service you anywhere in the Central Coast. Our plumbers have both the right credentials and experience under their belts, and are familiar with a service standard that gives you nothing but top-quality results. Wide Plumbing also guarantees that plumbing services contracted will be good for up to a year—we only want to maximize the plumbing systems we’ve built with you. Before you contract with us, we can visit your home or working space, assess the amount of work that will need to be done, and give you a free, no-obligations estimate. We’ll look to your approval every step of the way, and won’t move forward with additional work unless you say so. Contact Wide Plumbing Services for excellent drainage work and more.